Wine collections contain a variety of wines that extend across countries, vintages, varietals and price points. Your unique preferences are reflected in the wines you choose and the wine producers you gravitate toward. However, many collectors also love the thrill of the hunt and the prospect of owning something that is rare, expensive or truly one of a kind. This excitement is what inspires some wine collectors to spend years or even decades in search of that piece de resistance. Not all wine starts out expensive or rare – although some does – but it can become that way over time. 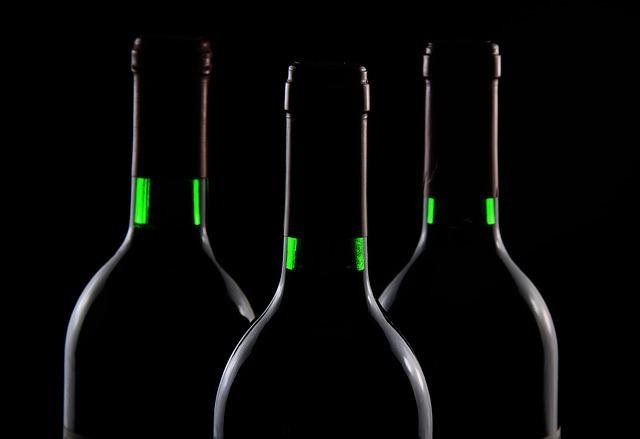 As people consume the bottles of a given vintage, or take them off the market in other ways, they reduce the number in circulation, making those remaining bottles of wine rarer. The vintage factors into why certain wines rise in price while others remain at typical market value. Grapes from exceptional vintages have exceptional qualities, where everything comes together in harmony to create an exquisite wine. Off years, where the grapes didn't grow as well due to factors like rain, sunshine, temperature or soil conditions, might result in a vintage that isn't as precious. These wines are more likely to grace the dinner table than remain in wine cellars while aging to perfection. Another cause of rarity or higher price begins at the winery. If the winery only produces 300 bottles of a wine, for example, it starts out rarer than one with 4,000 bottles, and will often be more expensive as a consequence. Fine wines also become more expensive with age, typically because older wines are unique and require decades of aging to reach such complexity. Of course, the storage of the wine plays a significant role in the quality, with verifiable provenance sometimes making the difference between a wine that's worth $2,000 and one that's worth $20,000 or more. There are also some wines that aren't fit for consumption but that are still worth collecting for the age and name alone. Some older wines fit the less common category of being both old and drinkable – a true delight for those who decide to pop the cork. Read on for a list of the rarest and most expensive wine in the world, whether on the market, in private collections or previously sold to passionate collectors from around the world. Considered the world's most expensive wine, Romanee-Conti from DRC sells for about $19,000 per bottle. Romanee-Conti comes from a single vineyard of the same name in the heart of the Cote d'Or in Burgundy. The vineyard encompasses just 4.47 acres of Pinot Noir vines, and this small size combined with low-yield, high-quality grapes results in a wine that's forever in demand. October 2018 saw the sale of two bottles of 1945 Romanee-Conti, with one bottle selling for $558,000 and the other for $496,000. This vintage was already a rare wine, with just 600 bottlings made at the time. The wine from the Sotheby's sale came from Robert Drouhin's collection. Previously, a 1992 bottle of Screaming Eagle Cabernet Sauvignon had taken first place with its charity auction selling price of $500,000. The oldest wine on the market is a collection of 1796 Lenox Madeira discovered in 2015 in the Liberty Hall Museum – part of the Kean University campus in New Jersey. The Madeira bottles were part of a larger collection of wine and spirits found hidden behind a plastered-over wall in the cellar, likely set up during Prohibition years. In May 2018, a 1774 Vercel "Vin Jaune d'Arbois" sold for $120,800 at a Christie's auction. The wine was stored in an underground cellar in Arbois, near the Jura Mountains in eastern France. Vin jaune comes from local Jura Savagnin blanc grapes, also called traminer in some areas. Found in 1867 in the tomb of Roman soldier, the Speyer wine bottle is believed to be the oldest wine in existence. This wine is on display in the Pfalz Historical Museum in Speyer, Germany, where it attracts attention for its age, appearance and overall uniqueness. The bottle features a wax seal, and the wine inside resides with olive oil and herbs. From its inception in 1992, Screaming Eagle has always put its focus on small-scale production, and what they don't have in quantity they certainly have in quality. People have long praised the Cabernet Sauvignon – and at $3,500 to $4,500 per bottle on average, with the wine routinely selling out upon release, it's clear that they hold this wine in high regard. Bodega Sierra Cantabria lies in the Toro region, where it has produced its Teso La Monja since 2008. In just a few short years it has reached the top of the list as the most expensive bottle of wine in Spain. At about $1,000 to $1,200 on average, Teso La Monja surpasses Dominio de Pingus, which typically sells for $850 to $950 a bottle. The Egon Muller Schartzhof winery produces this sweet wine in select years. If the harvest isn't exceptional, Scharzhofberger Riesling Trockenbeerenauslese doesn't make an appearance. This uncommon yet exceptional wine first appeared in 1959 and sells on average for $13,500, putting it near the top of the world's most expensive wine list. First released in 1995, Krug Clos d'Ambonnay was rare from the start. The Pinot Noir grapes come from a small plot in the Champagne region, measuring just 1.7 acres, which results in about 4,500 bottlings per vintage. When you combine limited production with length of aging, typically 12 to 15 years, you end up with Champagne that rarely comes to market. With just twelve ampoules released in 2012, the 2004 Penfolds Block 42 Kalimna Cabernet Sauvignon is the rarest wine you can buy. Block 42 from the Barossa Valley is a rare wine, with Penfolds having released it just a handful of times since 1953. The Ampoule, with its exquisite detailing and craftsmanship, makes this rare wine even rarer. If you're ready to expand your collection with one of the above outstanding wines, or another of similar quality, reach out to the specialists at JJ Buckley Fine Wines. Our portfolio includes some of the most rare and expensive bottles on the market, including Domaine Leroy Musigny, Domaine Leroy Chambertin, Domaine Leflaive Batard Montrachet, Le Pin, Petrus, and more.